Weholite Modular is a unique and innovative solution offering, based on the renown Weholite technology, empowering designers, engineers and end users with the ability to think outside the box in creating custom solutions, unique structures or having to make challenging connections. 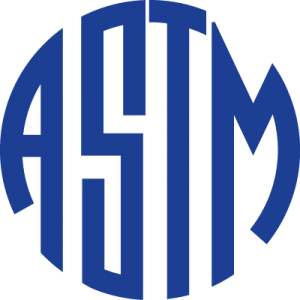 Whether having an existing design or looking to collaborate with our engineering group, designs are vetted and validated using advanced FEA analysis. 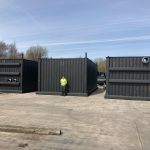 Fabricated from structural HDPE materials which are non-corroding, abrasion resistant and chemically inert, long term performance and low life cycle costs are ensured. 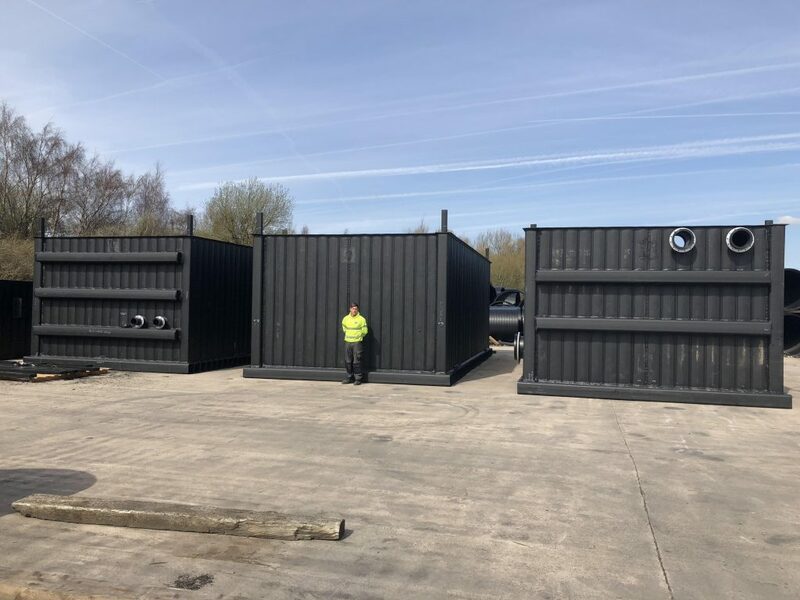 Weholite Modular can be fabricated into large rectangular CSO control chambers, pumping stations, flow control chambers, ventilation chambers, detention tanks and other strategic water applications. Traditionally, large scale rectangular applications were limited to steel reinforced concrete. Weholite Modular polyethylene structures can now be designed and fabricated as a superior alternative to any concrete structure. 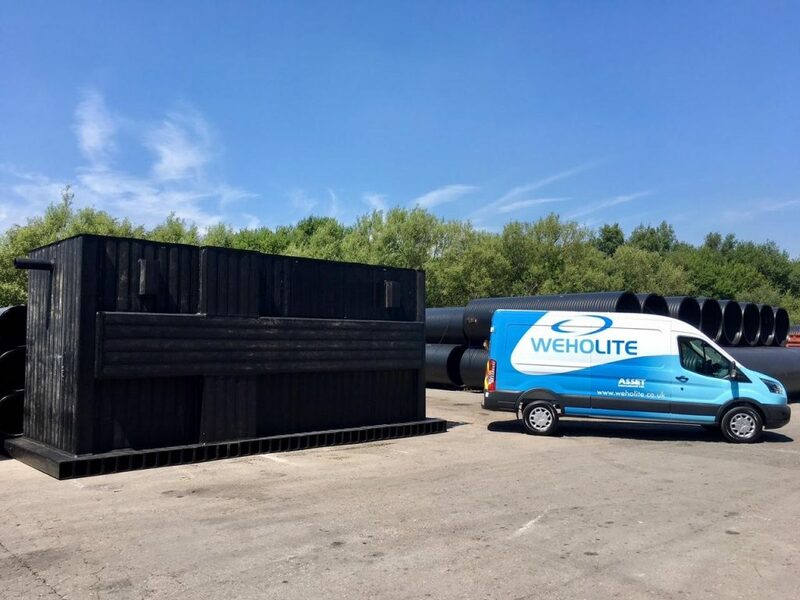 Weholite Modular structures offer the same versatility, longevity, eco-friendly qualities and value engineering as Weholite pipes and can be used above or below ground. Limited only by your imagination, it is possible to further customise any design with the addition of additional equipment and devices. 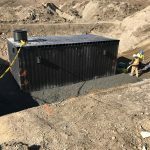 Internal piping, internal weir walls, bulkheads, or brackets to mount devices to, Weholite Modular achieves a new level of solution offering but not limiting your design options. 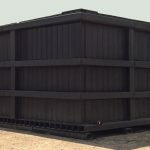 Strong, robust and durable, Weholite Modular can be installed above or below ground or partially embedded in the soil. A typical modular vessel is a single-body structure, however vessels can be field joined, allowing for increased capacity, flow and volume. 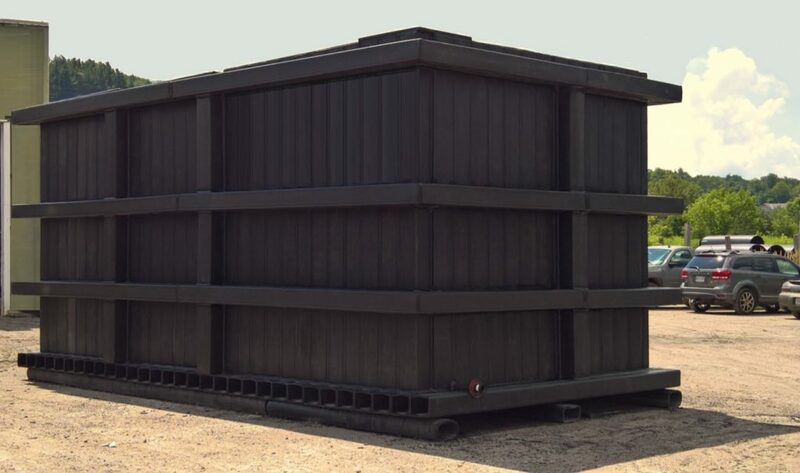 Prefabricated tanks delivered as a signal structure can be designed for capacities ranging from 2 to 90 m3. Larger capacities are available upon request. The maximum length and height of delivered tanks is a function of local transportation restrictions and cost of transporting oversized loads. Large capacity systems (up to even over a dozen thousand cubic meters) are delivered in sections that are ready to be joined in the field by extrusion welding. 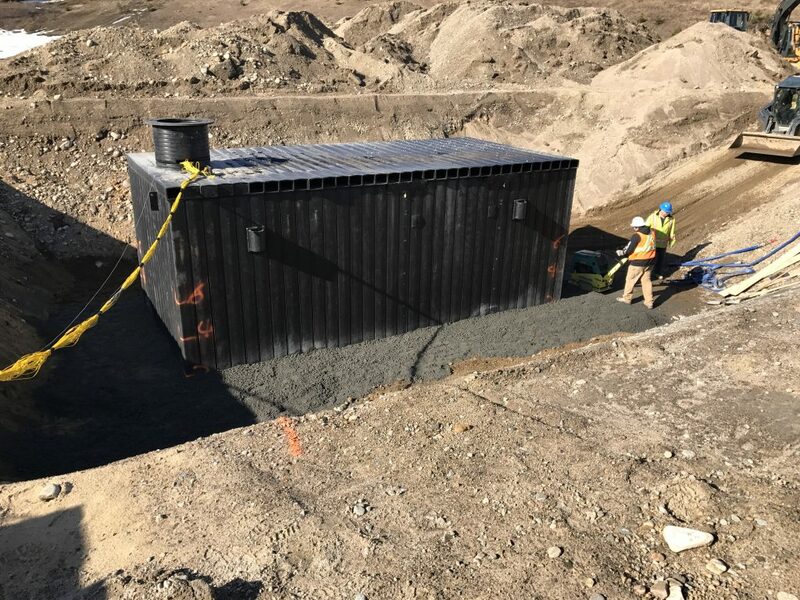 Consequently, the final product is a monolithic construction that is free of mechanical joints and guarantees maximum water tightness and reliability. Such a solution enables the installation of large capacity vessels with the optimum use of the available terrain. (2) Pedestrian loading standard. H20 highway traffic available. (4) Specified by client. Optional baffle walls, outlet controls, etc.